After a massive start to 2017, Not Usual sets in to the second half of the year with a monster release. “Elephantastic EP” is a three tracker originals only. The title track hits you right in those grooving guts with a huge bassline and an incredibly fun hook element resembling an elephant’s trunk. This is one of the biggest tracks this summer, no doubt. The guys keep the energy level moving into “Feel Good”, a high intensity track thriving with tight percussions and funky vocal elements. “Elevation” rounds up the EP with a slightly darker feeling to it, and the technoid side of the guys shows off in a tracking building up huge momentum in the break that releases in a broad specter of bass. 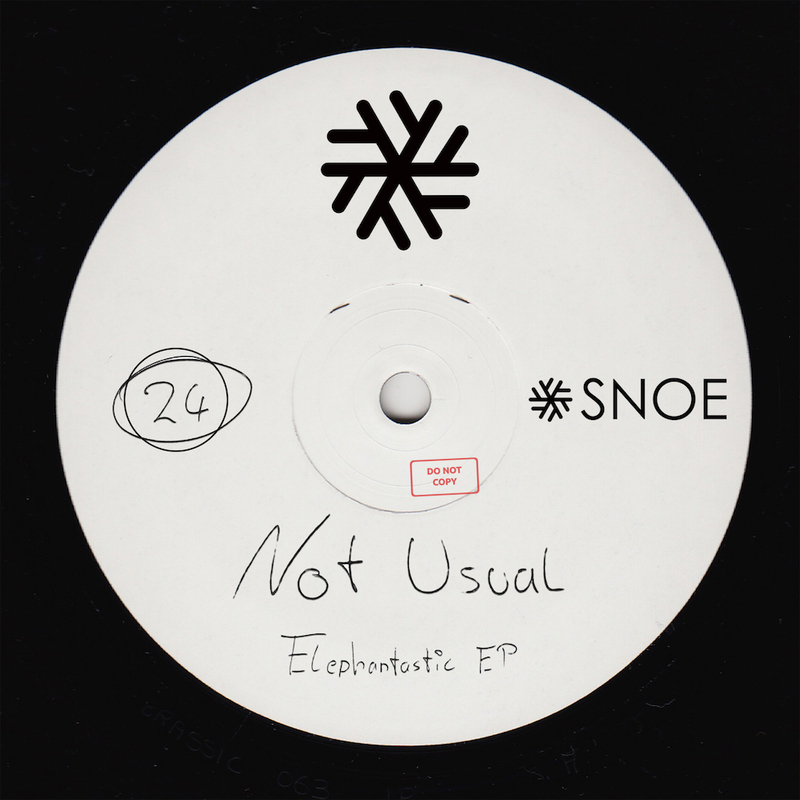 We are happy to give you SNOE nr. 24!